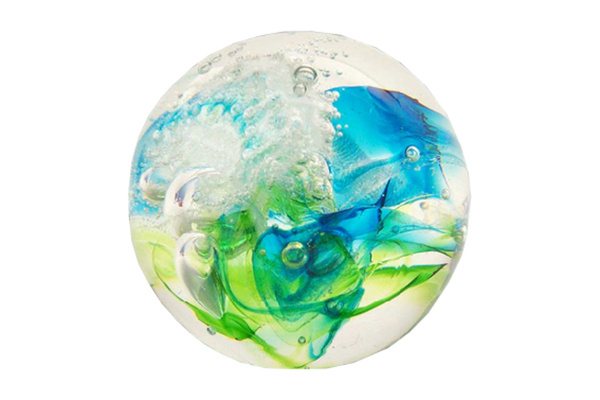 Blown glass art pieces are a truly unique keepsake option available when you choose cremation. 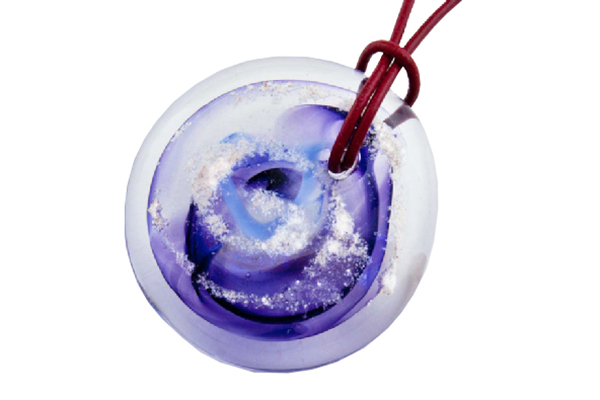 These keepsakes are handmade by a glass artisan who swirls a small portion of cremated remains into molten glass to create a beautiful, unique design. 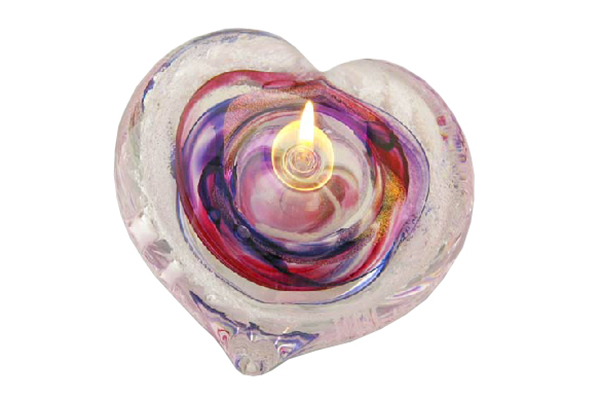 The vivid colors and swirls of the glass reflect the light and provide a warm glow of memories. These custom art pieces come in a number of sizes, designs and functions and have quickly become some of our most popular remembrance tokens. These include small statues, jewelry pendants, pocket-sized touchstones, paperweights, oil lamps and sun-catchers. Family members can each choose the piece that is the most meaningful to them. A wide color palette is available for your keepsakes. Watch a video about how glass pieces are created. For more information, please contact your funeral director.